Joe Fanning was born in Dublin and grew up in County Wicklow, Ireland. He graduated from the Irish Racing Academy at The Curragh in 1986 and, after having a few rides for Irish trainer, Kevin Connolly, he moved across the Irish Sea in 1988, for a brief spell linking up with trainer Henry Candy and then moving north to hook up with Squeak Fairhurst. His association with his current boss, Mark Johnston, began way back in 1990 but did not really begin to blossom until 1996. Fanning is yet to notch a Group 1 success so the two Group 2 successes he achieved aboard Darasim plus the 2007 Group 2 King Edward VII Stakes triumph of Boscobel at Royal Ascot rank as career highlights. The closest he has come to Classic success has been aboard Yavana’s Pace who carried him into second place in the Irish St Leger in both 1999 and 2000. 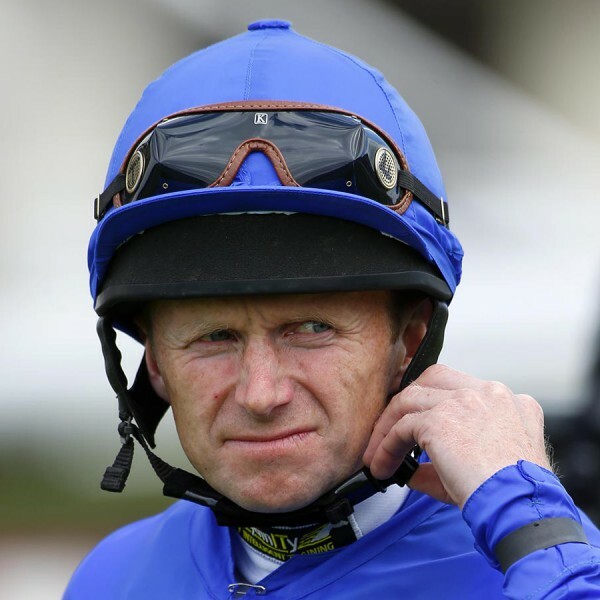 He has won the winter All-Weather Jockeys’ Championship twice (2009-10 and 2011-12) and, up until the end of 2012, had ridden the winners of 1534 races in Britain alone.